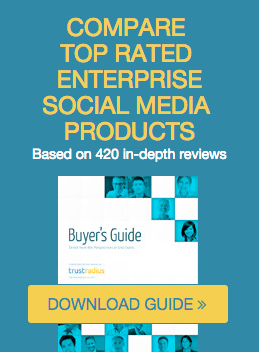 You can follow a product or vendor directly from a review. To the right of every review is a box per fig. 1 below. From this box, you can click to follow a product e.g. 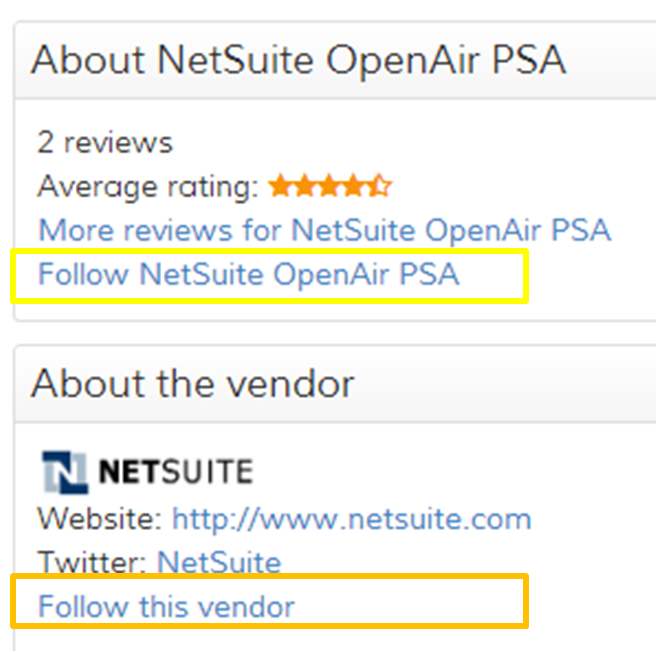 NetSuite Open Air or a vendor e.g. 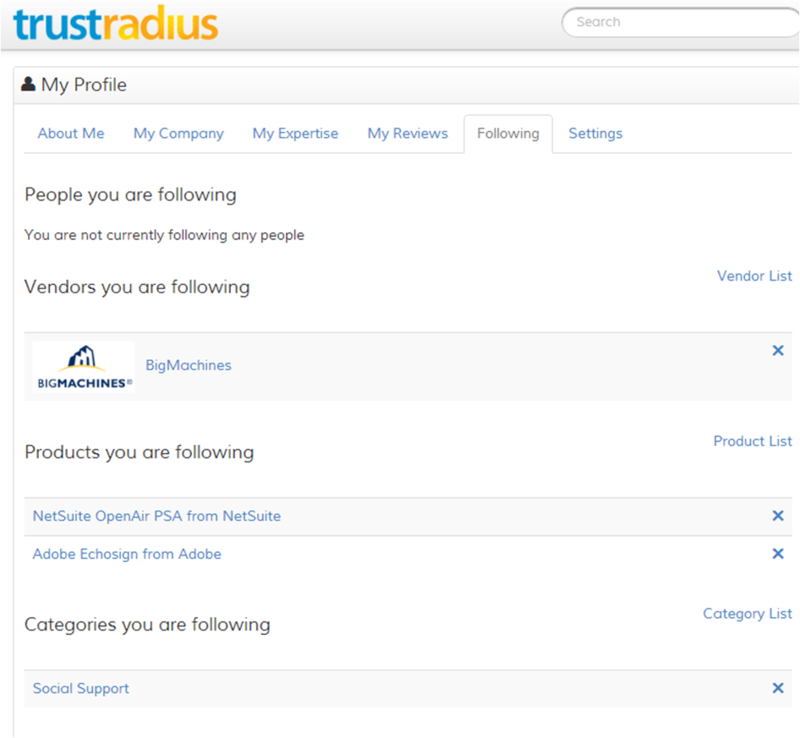 NetSuite and all their associated products. 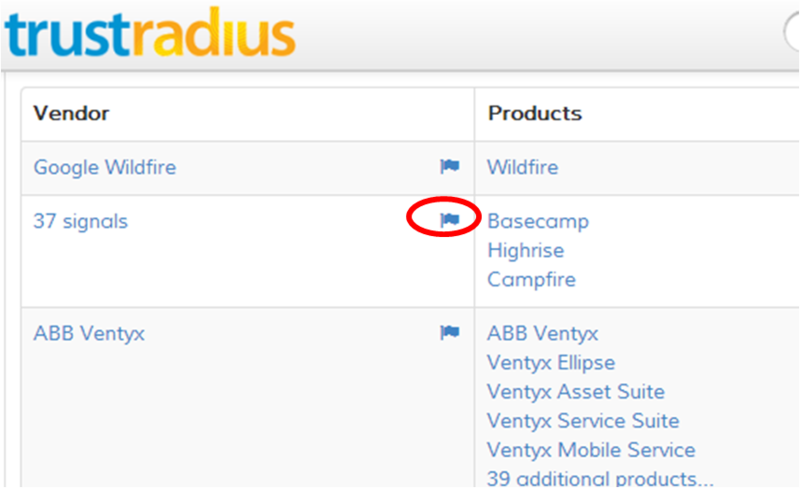 You can also follow categories, vendors and products from the listing pages by clicking on the flag. In figure 2, you see an example of following the vendor 37 signals from the vendor list. If you are connected to a person in TrustRadius, i.e. you are connected on LinkedIn or work at your company and they have set their visibility permissions accordingly to include you, then you can follow all their reviews across products, vendors and categories. At any time, you can modify your settings within the "Following" tab of your profile (see fig. 3).